There are enough distractions on the road without adding in talking on the phone or worse texting someone. It is as ridiculous as gluing a laptop to your steering wheel and or putting on a headset and forget driving. You have responsibilities to yourself, your passengers and others on the road when you get behind the wheel. 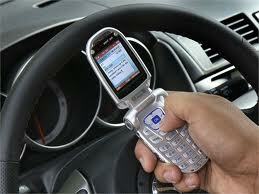 As of May 2013 Governor Scott signed a bill that will make texting while driving illegal. Motorists will be ticketed for texting while driving if they are pulled over for other traffic infractions. This will take effect October 1st, 2013. Have you ever experienced the following.. Someone rolling through a stop sign talking on the phone and not aware of what they just did? Riding too close to you with a cigarette in one hand and cell phone in the other? Look Mom no hands! Talking at a stop light with the window down like they were comfy cozy on their living room couch not caring who heard what they had to say. Its bad enough to talk on the cell phone while driving, but to actually keep looking at cell phone key pad to text a message is beyond thinking and one of the biggest causes for accidents is distractions while driving. How about driving with not only the kids yelling, laughing and carrying on with a mom looking overwhelmed, but while in conversation on the phone with the occasional yell at the kids, “quite down I am on the phone”, should not be going on and quite frankly putting her and their lives in jeopardy on the road. I am sure their are occasions running through your head at this moment of incidences you did not like to see on the road and maybe that made you pull over or get far behind someone not paying attention to the road. 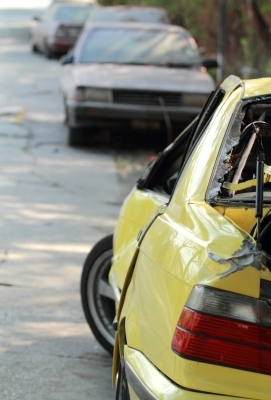 It’s simple: Do Not Text or Talk on the Phone while driving. What do we tell our kids when they reach that wonderful age of driving? It’s a privilege not a right. In Florida you can get a traffic ticket for being a distracted driver and worse cause an accident. and please visit http://www.textfreedriving.org/ for more tips on texting and driving that could help you.